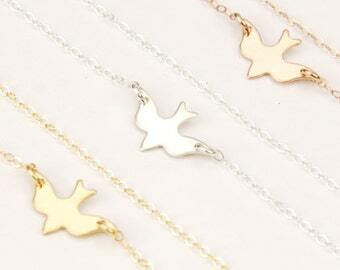 An adorable tiny bird necklace, so simple and dainty. A sweet gift for sister, best friend or for yourself. Comes in gold and siver. Model length: Silver 16", Gold 18"
Sterling silver or 14k gold filled chain, clasp and findings. 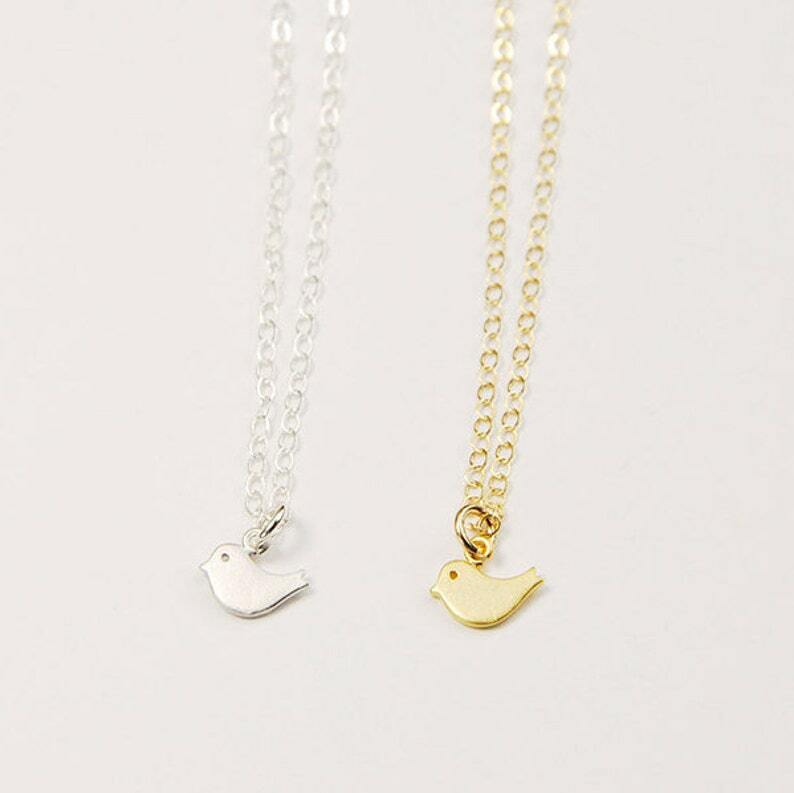 Tiny bird charm measures 5 /16" x 1/4" (8.2 mm x 6.5 mm) and is matt rhodium or matt gold plated. Your items will be wrapped in a cute gift box.